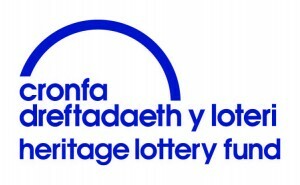 A county-wide First World War project to identify, record and restore all war memorials across Powys has received a £350,000 grant from the Heritage Lottery Fund (HLF). The innovative project led by Powys County Council will help to maintain the county’s 276 known war memorials – which include 13 listed buildings – as well as identify those that have been lost or forgotten. ‘Toolkits’ have been produced for communities, schools and researchers to help communities across the county take responsibility for and maintain their commemorative artefacts; safeguarding them for future generations. According to the UK National Inventory of War Memorials there are almost three hundred recognised war memorials in Powys. However, it is believed that the true number of memorials could be significantly higher with memorials ranging from crosses and plaques to bridges and church organs. This project will help communities identify their own, local, memorials and support the creation of a memorial map of all commemorative monuments across Powys, creating a new database of their history, condition and ownership. Toolkits created as part of the project will include background information and resources about the First World War as well as guides on how to research your local history and basic guidance on looking after war memorials. These will be complemented with Conservation Kits to help trained local people become actively involved in caring for and conserving memorials.